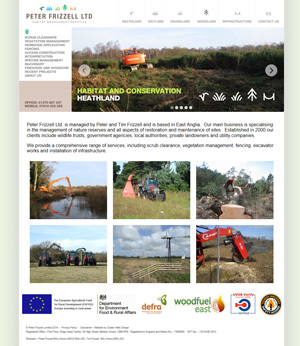 This is a selection of some of our clients that we work with and some of our more recent site designs. As you can see each site is very different. 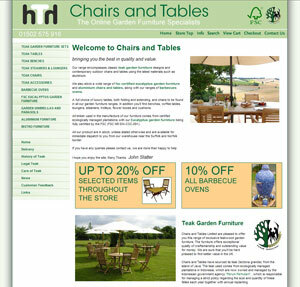 Each is designed from the ground up specifically to fulfil the job you need it to do for you. 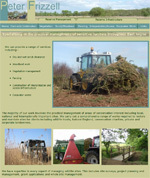 A new website for a Nursery in Peterborough. 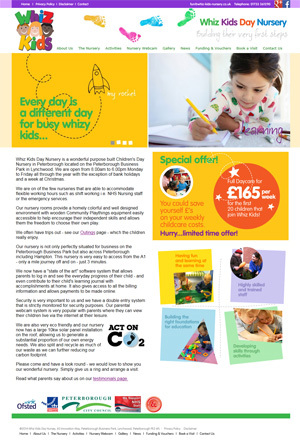 Whiz Kids Day Nursery is purpose built children's day care nursery in Peterborough. The new website enables them to show prospective parents information about the nursery and make an appointment to go and see the nursery and meet the staff. 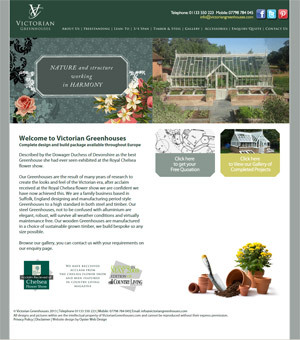 A new website for Victorian Greenhouses. 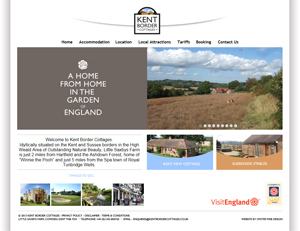 A new website for two lovely Kent and Sussex Holiday Cottages in a fantastic location. 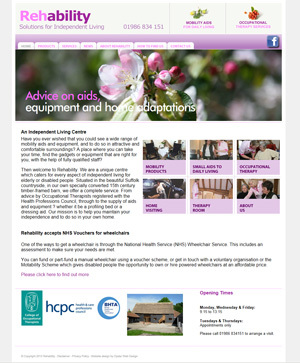 Do have a look at the website and see for yourself. 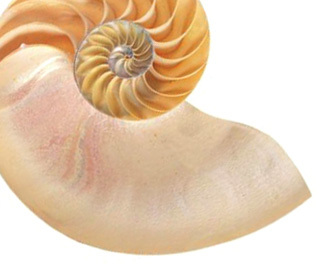 A updated website for Rehability. 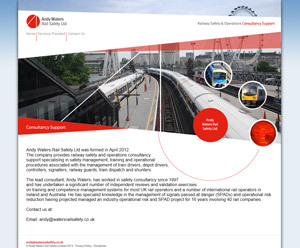 A new website for the Andy Waters Rail Safety. 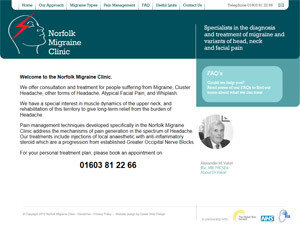 A new website for the Norfolk Migraine Clinic. This was upgrading an existing site from Actinic to Big Commerce. This was upgrading an existing site from Actinic to Big Commerce together with a re-branding of image. 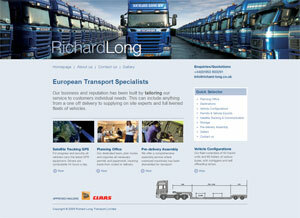 This was a re-design of an existing site to give it a fresh new look. 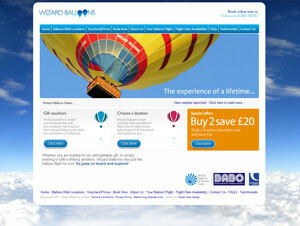 We also incorporated a brochure request form and the ability to securely buy flight vouchers on line. 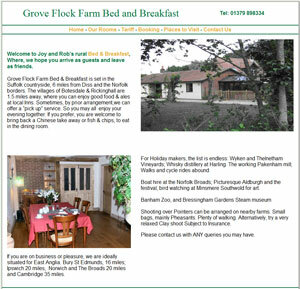 A small site for a new local bed and breakfast. 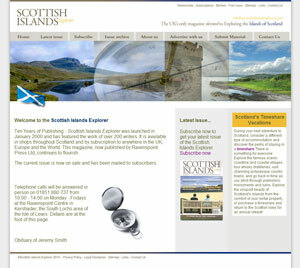 Replacing an existing site with a new site and ecommerce shop where customers can subscribe to the magazine, buy binders and DVD's of the Scottish Islands. This was an upgrade from an older version of Actinic to the latest version together with a re-design. This is a new website for Richard Long. This is an update to a long established small site to expand upon the information and services available online, such as being able to book a table, or booking accommodation. 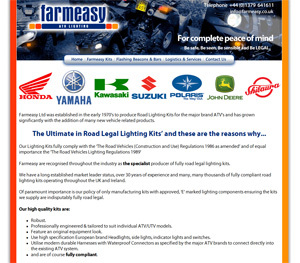 This is a redesign of an existing holding page to provide a small site for Farmeasy who manufacture road legal ATV Lighting kits. 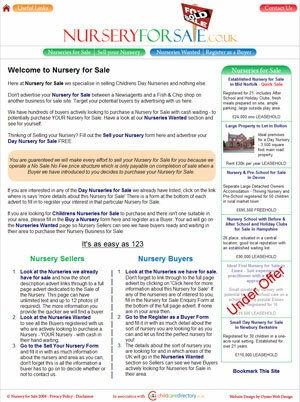 This is a brand new web site specialising in the competitive market place of the sale of children's day nurseries. Within 28 days of launching the site (on a new domain name) we were able to achieve page ONE ranking in Google above other established competitors for the top three chosen key phrases. 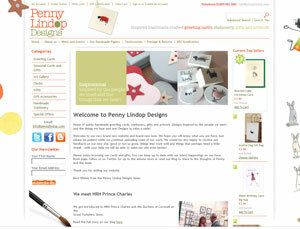 This was a redesign of an existing site with a new logo design and a new more up to date look. 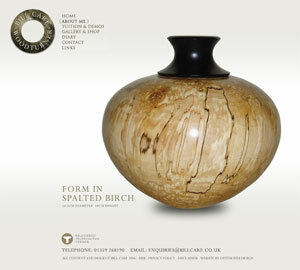 We will also shortly be adding an online shop where Bill will be able to sell some of the items he makes. 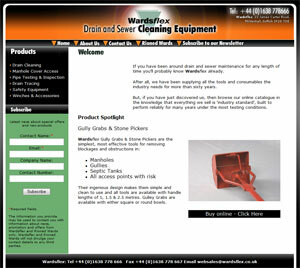 This was a redesign of an existing site to add full E-commerce for their range of drain cleaning equipment. The shop has been a great success gaining new customer accounts in areas they could not previously reach. 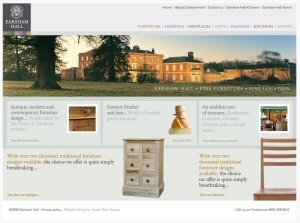 This was a redesign of an existing web site As well as providing more information there is a full online shop which sells their wonderful classic british lighting. 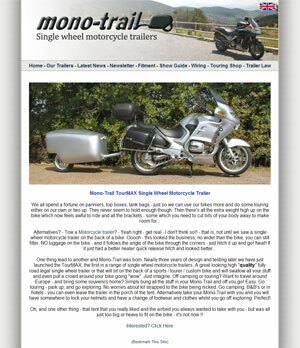 This is a very simple new web site for a company making a remarkable innovative single wheeled motorcycle trailer to tow behind a motorcycle. The site also includes and online shop for selling motorcycle touring accessories.